Visualization of data or creating various types of infographics may be done in many ways, but Easel.ly is an application specifically designed for that. It integrates a wide range of templates, shapes, advanced tools and other powerful functions that will enable you to express your creativity and present all the data in a precise manner. Completed infographics are downloadable in .jpg or pdf format without any watermark on them. While working on any graphic designing project, the chances are you’ll have to deal with editing photos, creating a digital painting or assembling several photo elements. GIMP is a fantastic designing application with the large scale of comprehensive tools and functions enabling you to experiment with photos and get the most out of their true value. It is easy to use, systematic and stands as a solid opponent to Photoshop. With all of its brushes, filters, layers, mask functions and many other tools, you’ll get the wide new field to explore the graphic designing process. Creating an attractive and successful webpage that will not only flash visitors for few minutes but rather make them truly dive into the content of the page, goes far beyond the mere aesthetic. The web designer has to compose the website that is beautiful, highly functional, easy to explore, read and follow and finally to adjust it according to the average user’s skills and expectations. The styles may differ, as well as preferences, but some basic rules should be followed to make sure your web design meets quality criteria. 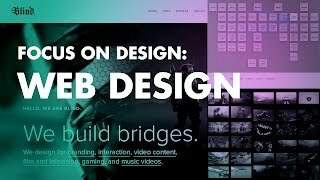 Here are some of the major guidelines you should stick to, some tips and tricks you should apply when designing a web page. Messy and crowded frontpage usually repels visitors. Make it minimalistic, simple and direct. Avoid extended explanations, descriptions, and dozens of elements scattered across relatively small space. Use icons, photos, and striking sentences to project your point and send a message. So-called “calls for action” should be presented, but if it includes a significant amount of plain text and content, make sure to divide it into paragraphs and make it easy to read. Do not design a homepage that will require effort from a visitor to read it. Two aspects of a modern world dictate some rules in web designing. First, information flows within seconds nowadays, and you have to catch readers attention at first glance if you want them to stick to your webpage. Second, displaying technology is becoming more and more advanced, and the designers have to keep up with it. So, keep your content organized and make a smart strategy about the intentional scattering of elements that will catch readers attention. Use typography tricks and colors matching to make encaptivating scenography at your web pages. Readability of your website has to be high, so the readers can grab all the info they are looking for and not get lost or confused. Using adequate contrast, type of fonts and classy coloring are some of the basic tips for achieving high readability. One section of a page should follow the other spontaneously, so the wandering through website comes natural and easy to navigate. All skills and applications are ensuring high levels of user experience come handy here. The whole field of graphic and web designing is constantly keeping up with speedy changes in modern technology, adjusting trends and modifying approaches towards different topics. Some changes are required and imposed by advanced technology, especially displaying devices, while other changes are the mere seasonal changes of trends, styles and popular things in designing. Somewhat like fashion styles. Here are some of the latest popular trends and news happening in the world of graphic designing currently. Contrary to dominating trend of using safe, neutral and low-volume colors that was accepted for years so far, new trends are promoting bold, bright and loud color matchings placed on the neutral background. The idea is not to use flashy or cheap combinations, but to go with plane shape and clear, accented colors. This trend is particularly welcomed by some designers who prefer using minimalistic shapes and graphic solutions, because it allows them to express more freely while staying within their modest boundaries of few details. Similar to pushing limits with colors used in web design, new trends promote using big, bold and attention-grabbing fonts. Typography is being placed more into the center of the total design, instead of just sending a message of the content. Google fonts are a weapon of choice. Namely, Google fonts include over 800 free types of fonts that are rather versatile and fit fine onto various blogs, webpages of other kinds and finally mobile devices used for reaching the online content. Sticking typographic styles should fit perfectly with minimalistic backgrounds that are becoming popular again. One of the most intriguing changes and news in the world of graphic and web design refers to introducing of hand-drawn graphics and icons. This is mostly due to an increased need for authentic images and photos. Thus many brands are centering their logo designs around drawn symbols. This will make web design more personal and intimate overall and promote utilization of some not so popular so far designing applications. Many companies have already embraced this trend taking advantage of it to stand out and differ, although the voices calling this sloppy or immature may be heard here and there. There is this common and false notion that the true artists are naturally born with their talent, and all their success is merely a spontaneous expression of that talent. This is wrong on so many levels. First of all, a talent that is not nourished on a daily basis will undergo atrophy. Further, even the greatest talents require constant work, progressing and adjustments. It is far less important how good you were when you started being a graphic designer, but how much do you progress on a daily basis. Behind every significant and steady success lie endless hours of hard working, patience, and practicing. Here are some approaches, habits, and actions you should integrate into your routine to become a better graphic designer. Yes, there are tons of quick ways to go through the basics of various designing applications and tons of tempting tutorials available online that guide you through the steps of learning something by heart, but that is quite fragile knowledge and skill. If you want to truly understand the job you’re doing and be able to apply your knowledge in various ways, take the time to learn the design theory. Read about techniques, new trends, approaches, common solutions and try to gain the knowledge and create “designer’s brain” before you focus on training your mere skills. This is somewhat a mental training and a game, but it is essential for sharpening your taste, aesthetic levels and finally for shaping your designing style. Explore and analyze in details examples of truly good and experienced designing solutions, trying to figure out what makes them good or specific. Be careful not to copy someone else’s work or style, but merely to use great designers as your teachers and leaders. After all, you don’t want to be a lousy copy of someone’s work, but to establish your recognizable style. Unleash your creativity and original raw ideas of any kind of limitation. Create some place for yourself where you’ll try all the new ideas and techniques you want to try out and don’t be afraid of making mistakes or getting poor results. All of this is just a part of growing process and improving yourself as a designer.